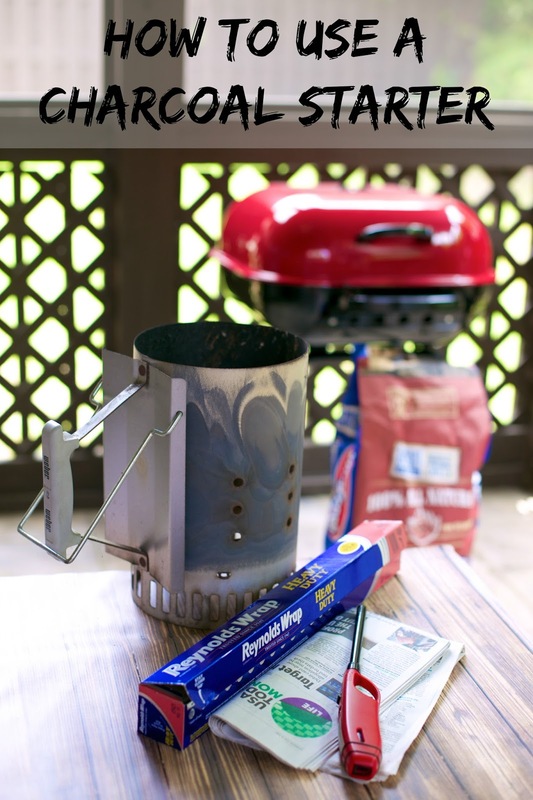 How to Use a Charcoal Starter - ditch the lighter fluid and start using a charcoal starter. Your grilled food will taste SO much better!! Learn how easy it is to use a chimney charcoal starter - with video! I get a lot of questions about how we grill, what grill we use, etc. Since Memorial Day is next week, I thought I would answer all those questions today. Disclaimer - we are not master grillers. We love to grill out, but we do not claim to be experts. This is just what works for us. My two most important tips for grilling are use a charcoal grill and a charcoal starter. We NEVER use lighter fluid. It smells disgusting and makes your food taste like gasoline. 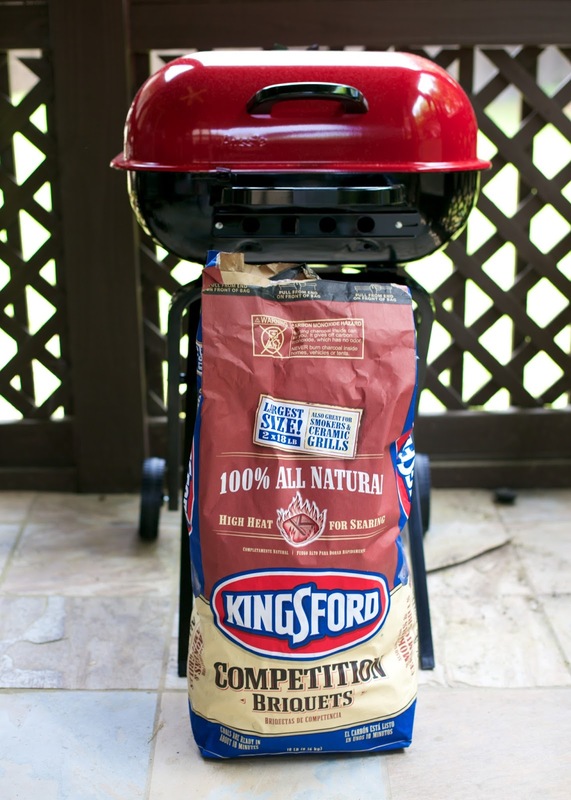 Using a charcoal starter eliminates the need for lighter fluid and gives your food a great grill flavor. I'm going to share with you exactly what equipment we use (total is under $100), and we made a video to show you how to use a charcoal starter. You don't want to miss it! We don't have a fancy grill. 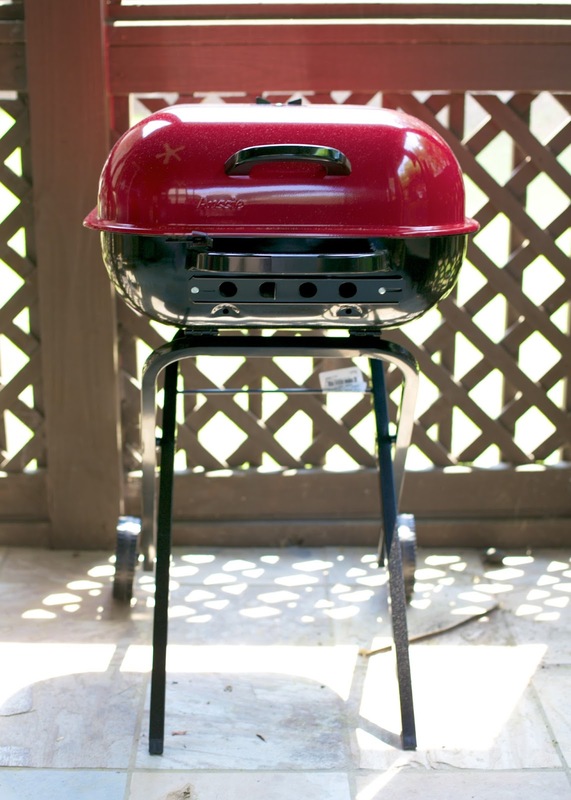 Chicken Legs uses this pre-assembled grill from Home Depot. It costs us $50 and lasts for years. It is large enough to grill for at least 8-10 people. We prefer the Competition Briquets, but we will use the regular if we can't find the competition briquets. We think the Competition Briquets burn hotter. We usually buy the charcoal at Costco. You can get two 18- lb bags for less than $20. We have the Weber Rapidfire Chimney Charcoal Starter. You will also need Heavy Duty aluminum foil, newspaper and a lighter. You are going to line the bottom of the grill with the aluminum foil. This will make cleanup much easier. Just fold up the ashes in the foil before you fire up the grill again. 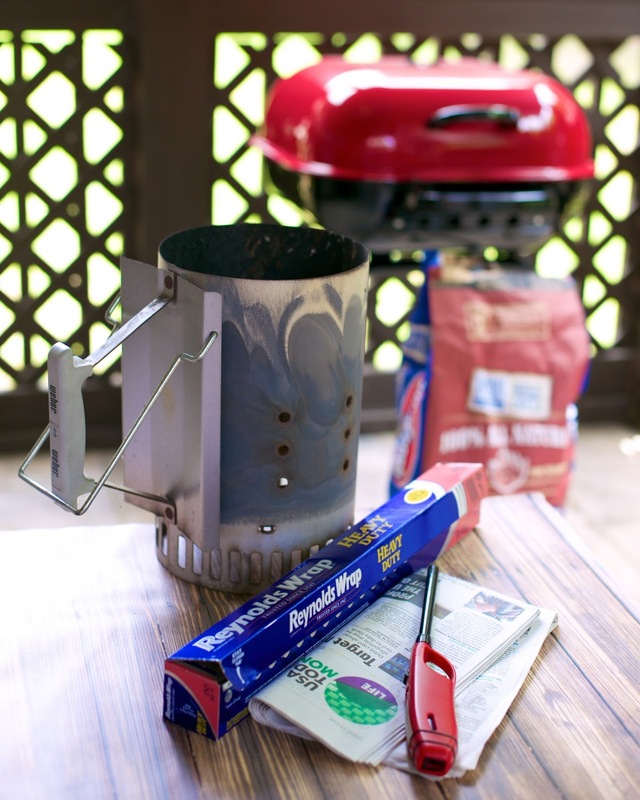 You will use the newspaper as fuel for the charcoal starter, and the lighter will get things going! We made a video to walk you though the specifics on how to use the charcoal starter. Don't worry, it is very simple to use a charcoal starter. Once you use it , you will never ever go back to lighter fluid. Follow Plain Chicken's board Grilling on Pinterest. This is awesome! I'm ready to go buy a new Grill!!!! It's so easy!!!! We grill the same exact way! We've never used lighter fluid for the same reason. And YAY for grilling season - grilling in the cold is definitely not fun! I agree. I went back to charcoal from gas and it's great. I bought the Big Steel Keg and use lump charcoal. A 40 lb bag will last me all summer, grilling a couple times a week. What's great about the keg (and the Big Green Egg) is that it's like an oven and I can easily get temps over 700 degrees for searing. After cooking, I close the vents and can re-use the charcoal that hadn't turned to ash again. Thank you for this!!!!!!!! We used this method tonight and will NEVER go back to lighter fluid. YAY!!! I'm so glad this helped! So happy it's grilling season!! I love that it means less dishes for me! Such a great video, girl! So happy. I absolutely love this site. Stick with it!